The original Yi Action Camera was your favorite budget action cam by a large margin, even if its specs didn’t quite match the Hero’s. 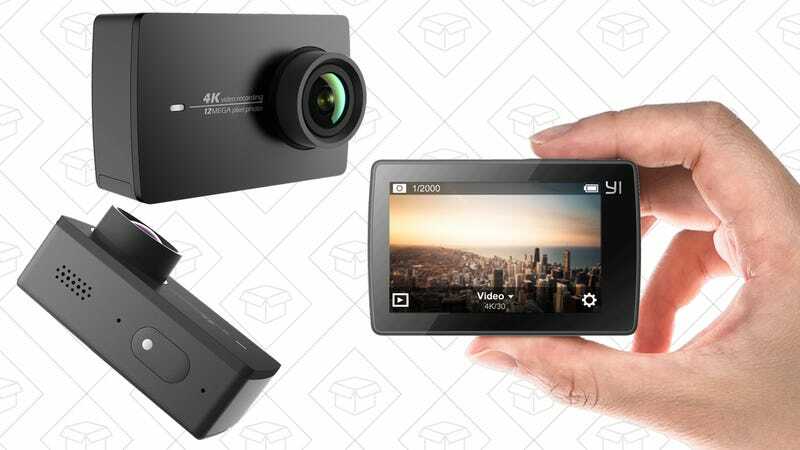 But now, the Yi 4K Action Camera is here, and it’s worth all the attention it’s getting. It shouldn’t come as a surprise that this budget-friendly, $250 4K action cam might just dethrone the GoPro Hero 4 Black as top dog when it comes to action cameras. I took this little guy on my annual rafting trip, armed with a waterproof housing and helmet mount, to compete with my friend’s GoPro. 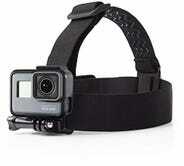 The UX is basically the same experience as the GoPro, except for a few minor things. If you don’t plan on changing any of the settings while it’s in the waterproof housing, you’re good. The Yi only has one button that controls the recording and power, while all the other settings are touchscreen-enabled. Though, it has a screen to begin with, so that’s a plus. You’d have to downgrade to the Silver for a screen on the GoPro. It’s a little bit larger in size than the Hero Black, but by only a little more than half an inch. It can shoot that coveted 4k at 30fps or 720p at 240fps, which is kind of astounding for an under-$300 cam (even if it can’t shoot 1080p at 120fps like the Hero4 Black). Plus, the listed battery life on the Yi is 2 hours, compared to the 1.5 hours on the GoPro. By far, the biggest selling point on this is the price. With the Hero4 Black reaching up to $500 (unless you find a deal or grab a refurb), the Yi easily comes out the victor here. $250 for a new 4k camera is almost unheard of. 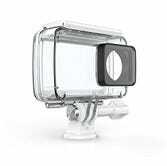 You can even grab a bundle with a waterproof housing or an extra battery and still save money by not getting the GoPro. 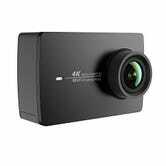 If you’re looking for a 4K camera that gives you exactly what you want and need in an action camera, and you don’t want to shell out for the GoPro, the Yi 4K Action Camera is your answer. Now excuse me, I have some more helmet cam footage to shoot.